Smartphone companies are now more focussing on the recent technologies like the thin and sleek design, bezel-less display and virtual assistance. Samsung Galaxy S8 and S8 plus has been many times in news for the Qualcomm Snapdragon 835 processor that is made on 10nm process technology, its latest virtual assistant called Bixby. The Qualcomm's latest Snapdragon 835 SoC occupies a lesser room in the phone that allows the makers to reduce the thickness of the phone making the smartphones relatively thinner. Samsung is not only the brand that uses SD 835 SoC, Xiaomi Mi 6, LG G6 and the latest OnePlus 5 is also reported to use the same SoC. The latest leak added considerable weight to the previously leaked reports about OnePlus flagship OnePlus 5 using the SD 835 SoC. 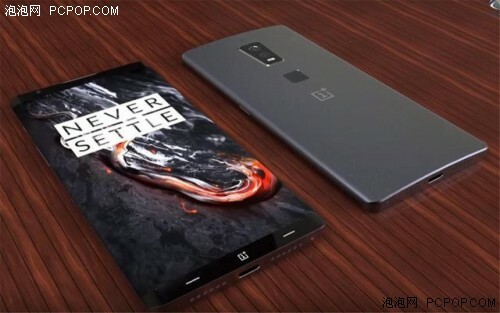 The leak also reports that OnePlus 5 will also come bundled with 8GB RAM, 5.5 inch Quad HD 2K display, 3,000mAh battery and 23MP rear camera with OIS. In addition to the above specifications, the leaked images detailed few features of OnePlus 5. The phone have a high screen to body ratios like Samsung Galaxy S8, a virtual home button on the front side, dual rear camera and a fingerprint scanner below the camera. And the design is of the typical OnePlus just like its previous versions. It is a known fact that OnePlus skipped the OnePlus 4 as 4 is unlucky numeric in China. But, its competitor Xiaomi had tasted success with its Mi 4 which it had released last year.